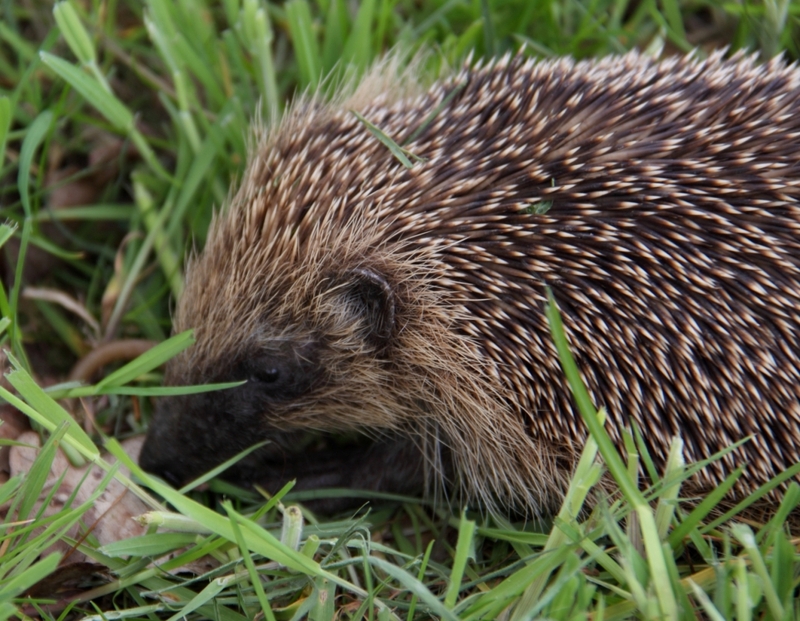 It may be too small to hibernate or could have been disturbed by a larger animal or keen gardener. It is likely to be very hungry. 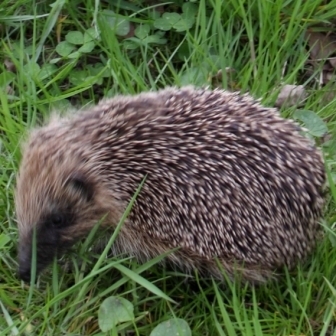 At this time of year natural hedgehog food is often in short supply. You can help by leaving fresh water and either cat food or dog food each day… eventually the animal will stop taking the food and will find another safe dry place to spend the winter months. 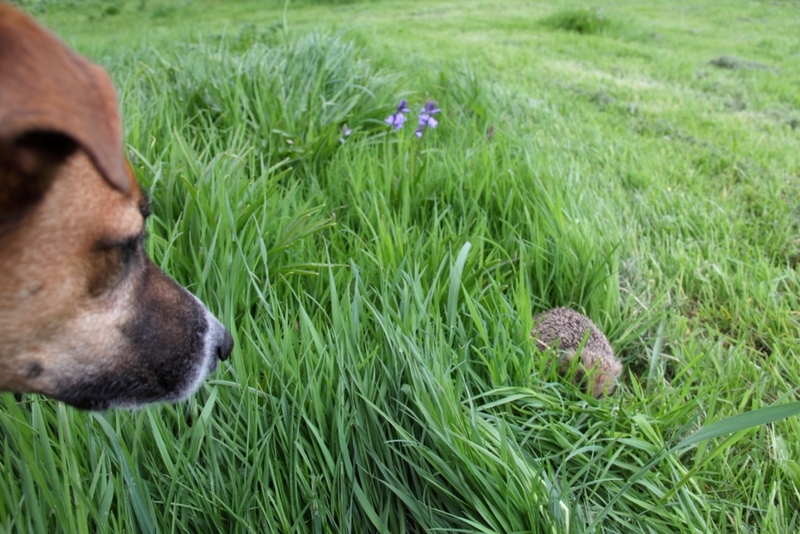 I’ve not yet come across hedgehogs in winter. Perhaps because we rake fallen leaves under our hedges in autumn and leave them there all winter, perhaps because they hibernate elsewhere. Who knows? They’re nocturnal so they are mysterious creatures anyway. 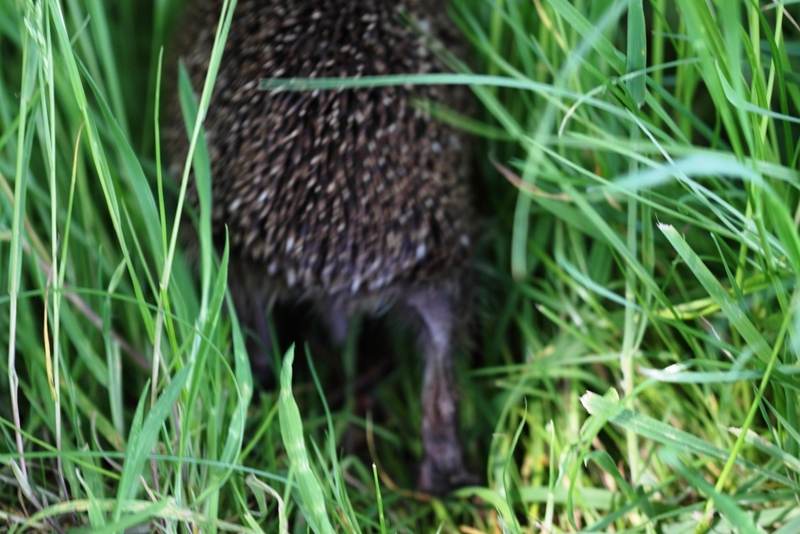 We did have this young hedgehog visiting us in the daytime a couple of years ago. Daytime activity is also a sign that the animal needs help. We fed it dog food, worms and fresh water and after a few of days it disappeared again. 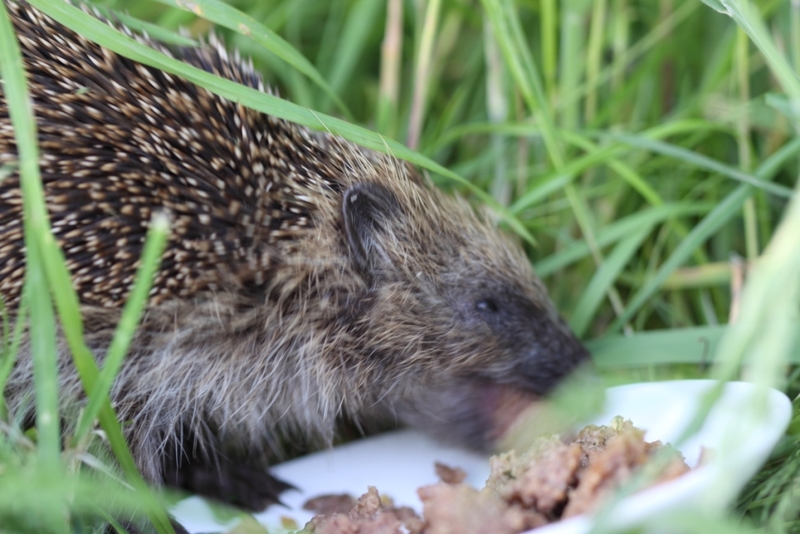 I’m keeping my fingers crossed that a few good meals helped it on it’s way to becoming a fully grown healthy adult hedgehog. Perhaps it has youngsters of it’s own now.